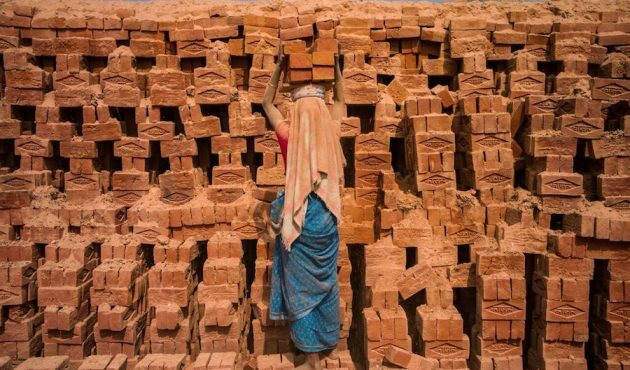 A paper by researchers at the University of Nottingham describes the use of satellite data to estimate the number of brick kilns, known for high levels of forced and child labour. Through analysis of high-resolution satellite imagery from 320 randomly sampled locations, the team estimates the existence of over 50,000 brick kilns across South Asia’s Brick Belt. Based on patient records in England, a study published in PLOS One found that the most common diagnoses for trafficked children are post-traumatic stress disorder and mood disorders. Records also revealed that 74 percent of the children suffered physical and/or sexual violence during trafficking. A report commissioned by DFID outlines the prevalence and main drivers of child labour in South Asia, as well as the types of interventions that have been effective. In countries where social exclusion persists, the authors note that economic growth alone will not work as a solution, as long as employers can bond child labourers with impunity. The Urban Institute’s Justice Policy Center interviewed 180 law enforcement officials, service providers and trafficking survivors in the U.S. to explore their concept of “justice”. The research found that criminal justice personnel focused on incarceration of traffickers, whereas survivors thought justice could be better achieved through prevention of re-victimisation rather than punishment of offenders. According to a new report by KnowTheChain, most global information and communication technology (ICT) companies are aware of their obligation to publish a modern slavery statement. However, out of the 102 companies reviewed, only 79 of them have produced a statement and only 14 have a statement that meets the Modern Slavery Act’s minimum standards. A report by K4D summarises the key economic and political factors driving modern slavery in Bangladesh’s tea industry. A systematic review in Health and Policy Planning examines the impact of cash transfers on health and life outcomes, including child labour and early marriage. The Issara Institute released an updated guide on ethical standards and approaches for working with migrant workers and trafficked persons. Help the Modern Slavery Registry find companies’ modern slavery statements so that their efforts can be assessed.